Free Shipping Included! celexon 113“ Folding Frame Screen Mobile Expert, Front Projection Screen, 16:10 Format, Flightcase for transport & storage by celexon at FloType. MPN: 1090821. Hurry! Limited time offer. Offer valid only while supplies last. celexon 113'' Folding Frame Screen Mobile ExpertThe 113'' celexon Folding Frame Screen Mobile Expert is a front projection screen of highest quality. 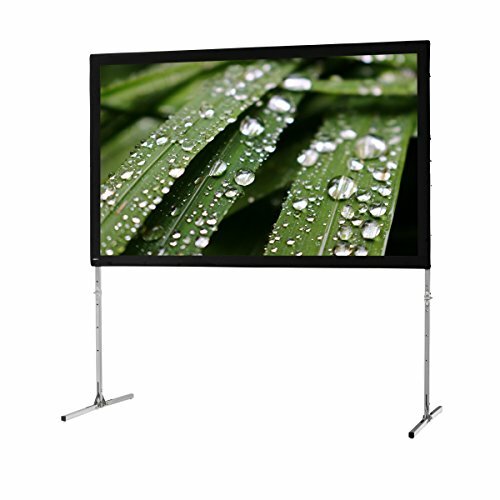 The 113" celexon Folding Frame Screen Mobile Expert is a front projection screen of highest quality. You receive a robust screen of 16:10 format with a broad range of use. Due to the included rugged flightcase, the folding projector screen is ideal for mobile applications. The celexon Folding Frame Mobile Expert is quickly and easily assembled, no tools are necessary. The screen is fastened by poppers onto the front of the aluminium frame. The height of the feet is variable. A stable stand of the screen is guaranteed. Together with the folding frame you receive a flight case for a secure transport and storage. Wether for rental, lange events, clubs or schools – celexon Folding Frame Screen Mobile Expert is the perfect choice!